Coriander sprigs and basmati rice to serve. Put in the mustard seeds, and wait until they pop. Add the onion, ginger, garlic, lower the heat and cook for 5 minutes. Add the chilli, tumeric, coriander and cook for 1 minute. Add the tomatoes, coconut creme and stock. Simmer 15 minutes. Add lemon juice, sugar and salt, add prawns and cook for 15 minutes. Garnish with coriander and enjoy. 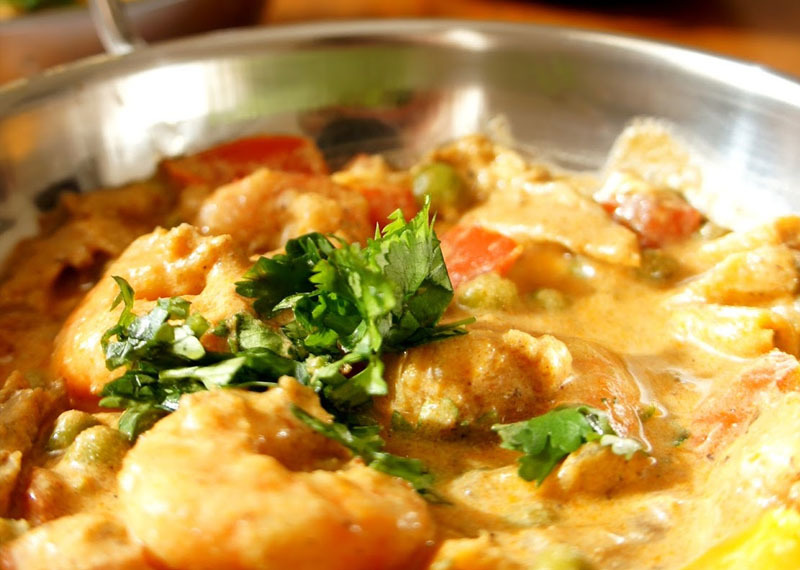 Chef's note: You can substitute the prawns for chicken and add cashews.